Welcome to Seaway Valley Jumpers! 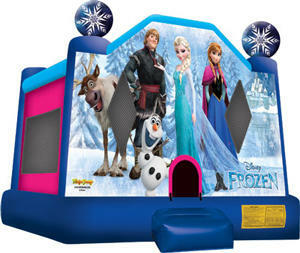 Thank you for visiting Seaway Valley Jumpers, your source for the best quality inflatables, and party rental equipment. Seaway Valley Jumpers is the #1 inflatable party rental service company in St. Lawrence County, New York. We offer bounce house rentals, slide rentals, water slide rentals, tent rentals, party tent rentals, & party rentals to customers in St. Lawrence County NY and the surrounding areas. 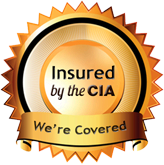 Our company is committed to safety and we are fully insured, trained, and careful at all times. 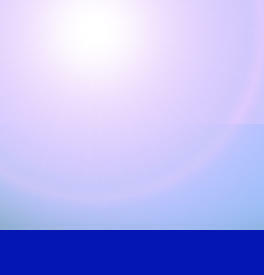 At SeawayValleyJumpers.com it's easy to find exactly what you want for when you want it. Just click the yellow "Check Availability" button at the top of the menu on every page, and you can enter the date and times of your event. Then as you browse the site, only those items available on your date will be displayed. You can also start your reservation at any time, by just adding items to your cart, by clicking the "Add to Cart" button on every product pages. Your just a click away from having a great party. Not sure if you're ready to reserve yet? No problem, you can use the main menu to the left to see all the exciting inflatables and other rental products Seaway Valley Jumpers has to offer. Our #1 goal is your satisfaction, so if you have any question about our rental products, policies or the use of this site, give us a call at (315) 528-9318 and we will be happy to assist you. Get started now! 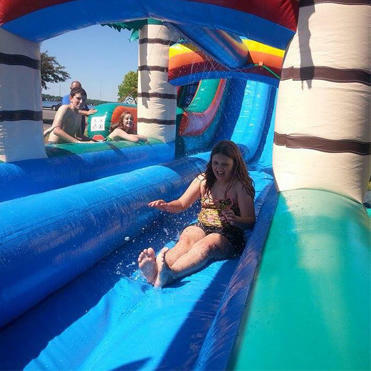 "Check Your Date"
Our inflatable 80ft obstacle course lets you race against your friends over hills, down slides, and through pylons. Our obstacle course is perfect for your large event and small backyard parties alike. Kids and adults love racing each other on the inflated course! These inflatables are big, colorful, and bright. They are a really great way to get your guests up, exercising and participating in the fun at your next event. Find out if you have what it takes to make it through this 19 foot high, 80 foot long inflatable obstacle course. 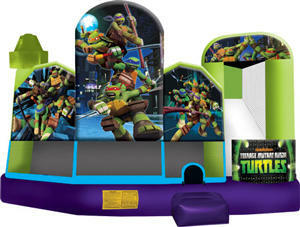 This is our most popular party rental unit and is the largest obstacle course in St. Lawrence County NY. This Frozen Bounce House rental is hot! Play with all your friends friends from the movie, Anna, Elsa, Olaf, Kristoff, and Steve. This exciting moonwalk features a large jump area so there's room for all, and large netted vent windows all around to keep things cool, and allows parents to keep a watchful eye on activities inside. Entrance has an inflatable ramp for childrens safety. 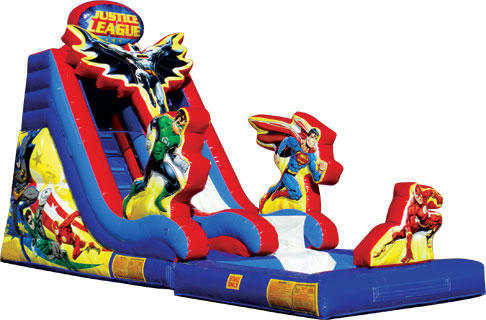 Our brand new Justice League Slide is the perfect centerpiece attraction for any party or event. Just checkout the bright colorfully graphics complete with all your favorite super heroes ready to watch over your guests. Batman, Superman, Flash and the Green Lantern Are all ready to do battle with evil. This large slide measures 29ft long, 14ft wide and over 18ft high. Guaranteed to get attention.